AUBURN, N.Y. (Mar. 23, 2018)--The Finger Lakes Musical Theatre Festival announces the lineup for the 2018 PiTCH Season. Finger Lakes Musical Theatre Festival is thrilled to announce the lineup for the seventh season of its new-works series, “The PiTCH” presented by Generations Bank. The season spans a wide swath of world history and explores questions of faith, family, and perseverance. The 2018 season of the “The PiTCH” runs July 11 through Aug. 10, and will give five creative teams an opportunity to present their new musicals in development. Audiences watch a 50-60 minute presentation of the musical before being invited to give feedback to the creative team in a talkback session. To date,“The PiTCH” has been a development platform for 59 new musicals. The series launches with “Wright,” a musical that explores the unthinkable lives of Wilbur and Orville Wright, the inventors of the first airplane. The PiTCH will be the first formal development step for the musical, written by the award-winning team of Yianni Papadimos and Ben Chavez (Best Book, Best Lyrics, Best Music for “The Cobalteans,” NYMF 2015). Next up is the Untitled War of the Worlds Project by 2017 MacDowell and VCCA Fellow Zack Zadek. Based loosely on the 1938 War of the Worlds broadcast by Orson Welles, the show will arrive in Auburn having been previously developed at Weston Playhouse in Vermont. Third in the lineup is “Buried in Prosperity,” in which friends and neighbors question the meaning of family and definition of ‘home’ in a universal quest for love and belonging. Written by the Chicago-based, husband-and-wife team of Karen and Steve Multer, the musical was developed at Point Park University’s New Musical Laboratory, and was featured at the Kennedy Center’s 2017 Page to Stage Festival. The fourth show in the series is “In The Green” by Grace McLean. The musical explores the origin story of one of Medieval history's most powerful and creative women. The show was developed at SPACE onRyder Farm, The Orchard Project, CAP21, and the Johnny Mercer Writer's Colony at Goodspeed. The seventh season of “The PiTCH” closes with “Bruno and the Gospel of Infinity,” a musical focusing on the life and trials of Giordano Bruno, an astronomer in the time between Copernicus and Galileo, who defied the church with his theories about the nature of the universe. Written by Ben Clark, whose previous credits include “The Circus in Winter” and “Skin & Bones,” the musical will have its first formal development and reading at The PiTCH. All performances are held at The Cayuga Museum Carriage House Theater (formerly known as Theater Mack) at 7:30 p.m. on Wednesday and Thursday evenings and at 8:00 p.m. on Friday evenings. “PiTCH Passes” are available for $50 and are good for one ticket to all five shows; single tickets are $20 and can be purchased by calling the box office at 315-255-1785 or by visiting FingerLakesMTF.com. For a full list of performance dates and for more information about the season, visitFingerLakesMTF.com/the-pitch. Headquartered in Auburn, NY, the Finger Lakes Musical Theatre Festival is a dynamic arts organization committed to creating theatrical experiences at the highest levels of artistic integrity. It leverages the power of the arts as a tool for entertainment, education, social awareness and cultural development in its community and in the region. The Festival is situated in the picturesque Finger Lakes wine region of Central New York. Four hours from NYC and situated between Syracuse, Rochester and Ithaca, the Finger Lakes Musical Theatre Festival is one of the largest producing musical theatre organizations in New York State, outside of New York City. Find Merry Go Round Finger Lakes Music Theatre on Facebook, follow @FingerLakesMTF on Twitter and Instagram and visit www.FingerLakesMTF.com. I’ve had a lot of opportunities to talk with and write about a lot of talented, creative people over the past three decades as a journalist in the La Crosse area. They don’t come any more impressive than Karen Multer. As a student at Onalaska High School, she was known as Karen Luehne, and in high school she already showed all the signs of being a star, adept at acting and singing. For more than a decade after she graduated from OHS she traveled the country, making her living as a theatrical performer. She met Steve Multer in one of those productions — “Phantom of the Opera,” in which she was Christine — and they’ve been partners in life and art for almost 20 years. Long based in Chicago, Karen and Steve performed together in TONIC Vintage Vocals, a jazzy ensemble they formed for which they wrote some of their own songs. That songwriting blossomed into something bigger, with the Multers aiming to get their songs placed in films and TV shows. Last time I checked in with Karen, it was about 10 years ago and she and Steve had just pulled off a cool coup — one of their songs had been picked up for use in a scene on “CSI: Crime Scene Investigation.” At the time it was one of the most popular shows on the tube, so having their song used in a “CSI” episode — “The Case of the Cross-Dressing Carp” — was a big deal. They’ve twice been honored in the jazz category in the Billboard World Song Contest and are three-time winners in the Great American Song Contest put on by Variety. But that’s not even the most impressive part. Karen and Steve have written two full-blown musicals, and both were picked for the Kennedy Center Page-to-Stage Festival. Their first musical, “codename: CYNTHIA,” was part of the festival in 2015 and went on to have a full production staged that year by the Pallas Theatre in Washington, D.C. The Multers were rewarded with two BroadwayWorld Awards for “codename: CYNTHIA,” including one for Best World Premiere Musical, and the show won DC Metro Theater Arts’ 2015 Best Musicals at Professional Theaters honors. 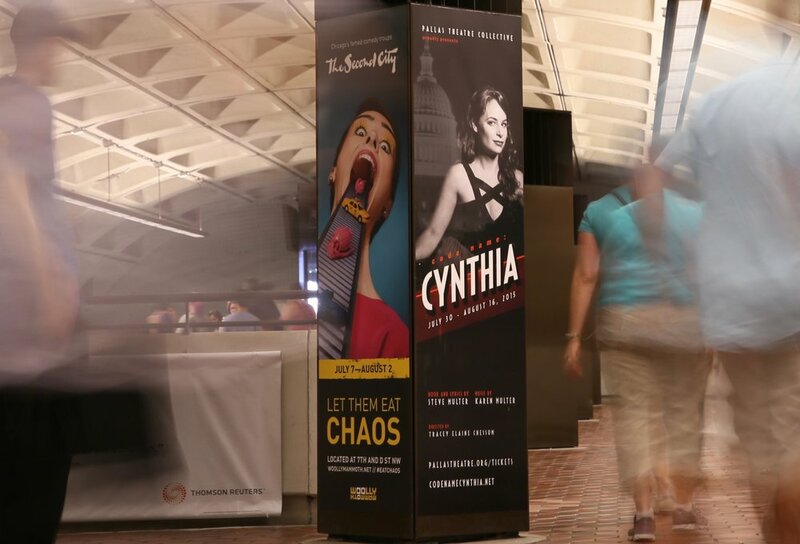 The next step for “CYNTHIA” is to get it published and licensed for further productions, but meanwhile they’ve got another musical in the development pipeline that had a reading in late summer in the Kennedy Center Page-to-Stage Festival. While “Buried in Prosperity” is set in 1954, Karen told me it’s a “deeply American story” that is very much relevant to our times, dealing with themes of racism, socio-economic and class disparity, and the difficulty of adapting to social change. Karen and Steven have been working on “Buried in Prosperity” for a couple years and have hopes of the musical getting its first production within six months, possibly in Chicago or maybe even in Wisconsin, given the Dairy State roots shared by Karen and Michael Cotey, a director with whom the Multers are working. Both the Multer musicals have been through lengthy development processes, with Karen and Steve honing the shows each step of the way. As Karen explained, there is no shortcut to excellence. Given that approach and the success they’ve had as songwriters in general, I won’t be one bit surprised if I one day get a chance to write about a Tony Award winner who grew up in Onalaska. The wonderful cast and crew of Buried In Prosperity from Pittsburgh's Point Park University at the 2017 Kennedy Center Page-to-Stage Festival! September 2017 | Buried in Prosperity at the Kennedy Center Page-to-Stage Festival, Washington, D.C. Buried in Prosperity will be part of the 16th annual Kennedy Center PTS New Play Festival, hosting more than 50 D.C.-area theater companies in a series of readings and open rehearsals of plays and musicals being developed by local, regional, and national playwrights, librettists, and composers over Labor Day weekend. Information at Kennedy Center 2017-2018 Season. FWD Theatre Project produced a workshop and public staged reading of code name: CYNTHIA at The EDGE Theater, Chicago on August 16th 2016 directed by Elizabeth Margolius and starring Jennie Sophia and Gene Weygandt. July-August 2015 | code name: CYNTHIA @ Pallas Theatre Collective, Washington, D.C.
Pallas Theatre Collective mounted the premiere production of code name: CYNTHIA at the Anacostia Arts Center in Washington from July 29-August 16 2015 directed by founder and Associate Artistic Director for New Musicals, Tracey Elaine Chessum. September 2015 | code name: CYNTHIA at the Kennedy Center Page-to-Stage Festival, Washington, D.C.
code name: CYNTHIA was presented at the 2015 Kennedy Center as part of their annual reading series of new dramatic and musical works. July 2015 | code name: CYNTHIA @ the International Spy Museum, Washington, D.C. 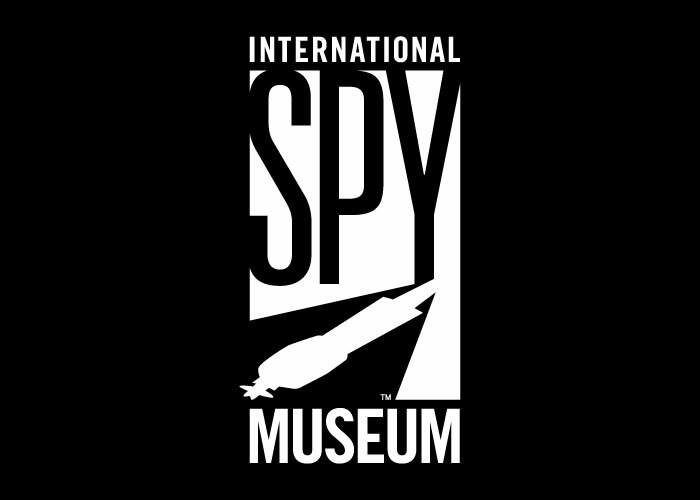 The International Spy Museum hosted a public presentation of code name: CYNTHIA on July 9, 2015 bringing this original musical home to where it was first conceived. A video of the presentation is available on the museum's website and YouTube.